1-800-Flowers® in Bakersfield CA provides fresh, beautiful flowers to Bakersfield, CA for same-day delivery. Order flowers online or visit shop at 3310 Truxtun Avenue, Bakersfield, CA 93301. 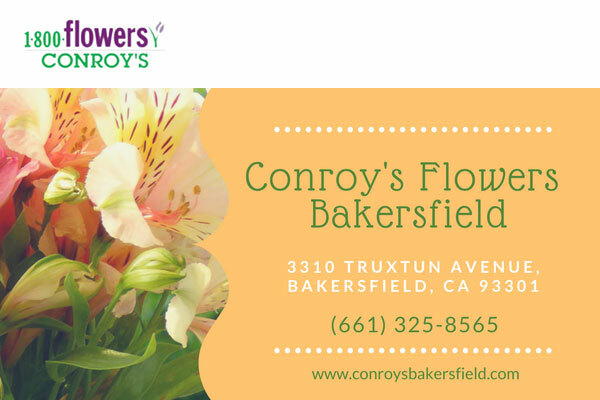 Conroy’s Flowers Bakersfield provide custom design service for weddings, events and other life events.